The NYPD really outdid themselves Saturday night when they opened fire on a suspect, who they thought was carrying a gun (turns out he wasn't), but missed, hitting two Manhattan residents instead. 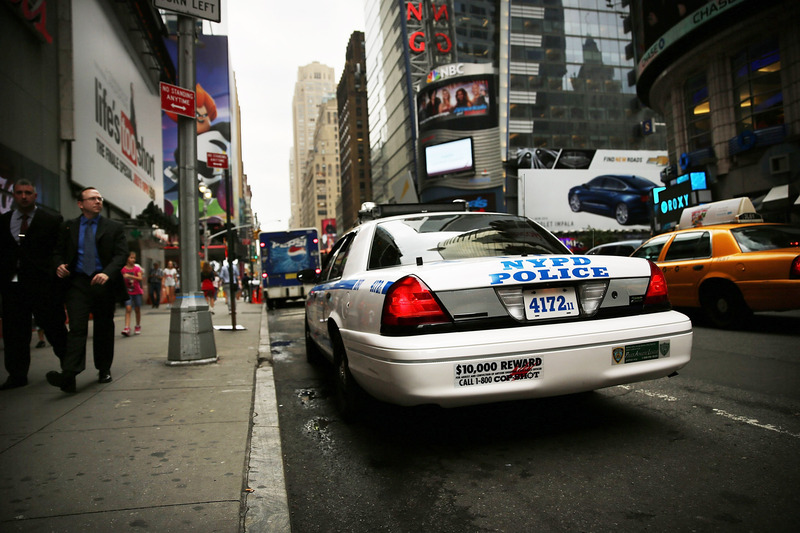 The police were apparently chasing a deranged-seeming man through traffic along 42nd Street and Eighth Avenue just after 9:30 p.m. Saturday, when he pretended to pull out a gun, after which the police opened fire. The suspect "reached into his pocket, took out his hand, and simulated as if he was shooting at them," New York Police Commissioner Raymond Kelly said Sunday. “[The suspect] definitely looked like he was high on something or was mentally off. He couldn’t walk in a straight line. He was limping and jerking his legs around,” one witness told the New York Daily News. The officers then responded by firing three rounds at the man, but missed, shooting two women instead. The first, a 54-year-old woman who uses a walker, was hit in the lower leg, breaking two bones. Another bullet grazed the bottom of a 35-year-old woman. Both were taken to local hospitals in stable condition. And the suspect? The 35-year-old wasn't hit at all — the police eventually used a Taser on him, and he was taken into custody. Sadly, this isn't the first time the New York Police Department has hit innocent bystanders. In August of last year, a total of nine people were wounded by bullets accidentally fired at them when police confronted a suspect near the Empire State building. In fact, according research done by the New York Times, between the years 1996 and 2006, New York officers hit their intended target roughly 34 percent of the time.